Or maybe not. I’ve been pretty tough on folks who tout that their “contraption du jour” is the only real answer to any perceived problems in our health insurance system. This is because I don’t believe that there’s only one “right” answer to so complex a problem. But I would be remiss if I didn’t also take to task those who would categorically state that any one potential solution would bring about the downfall of the system, either. There are, to be sure, any number of problems with our current system, the two most pressing of which are pricing and availability. It doesn’t seem to me that it’s particularly helpful to say that, for example, HSA’s would only further exacerbate the problem(s), any more than it would be accurate to say that they, and they alone, will solve all of our woes. In his SOTU address last evening, President Bush laid out some far-ranging and lofty goals that he believes will help move the debate forward. He proposed a number of new initiatives, which I'll address in another post. For now, I’ll try to allay some of the fears that folks such as Drs Holt and Quadango have posited regarding HSA's. As an aside, these two arguments seem to me to be self-contradictory. That is, healthy people are healthy for a reason, and probably don’t skimp on care, regardless of who’s paying for it. I have, of course, no proof for this, so I’ll leave it alone for the time being. Nevertheless, let’s examine them one at a time. Since there are so few HSA plans extant, it seems to me that the first argument is premature, at best. Depending on one’s orientation, it’s easy to speculate what people with such plans will or won’t do. The available evidence suggests that preventive care does not get short shrift. Indeed, since one is essentially rewarded for being in good health, it’s in the best interest of the insured to seek early detection of potentially expensive problems. It also helps to understand exactly how HSA’s work; unfortunately, it doesn’t appear that the Chicken Little’s do. One of the first things I came to learn when I became aware of MSA’s (the forerunner of HSA’s) is that most of the folks who are agin it don’t look at the whole picture. One’s current health insurance policy costs whatever it does, month in and month out, regardless of whether you use it or not. And if you get to the end of the year, and you’ve had very few claims, it’s not like the insurance company actually gives you a refund. But that’s exactly how the HSA works: whatever money you’ve saved stays in your pocket. So if it means that you pay $150 for an exam, but it saves you thousands because you caught the problem early, then why would you take the chance? Believe it or Not, InsureBlog turns 1 year old today. Looking back over our first year, I am proud – and, frankly, amazed – at how far we’ve come. With over 230 posts, and more than 13,000 visitors (not to mention 21,000+ Page Views), we’ve come a long way from that first, tentative entry. I distinctly recall being quite thrilled when, after a few short weeks, we were up to an average of 8 visits a day. Now, our daily average is usually well over 80. Wow. If I had to pick the post of which I’m most proud, it would have to be Blogging for Katrina: together, we raised almost $2000 for hurricane victims, and climbed into the top 40 of the over 1,800 blogs that participated. Our two multi-blog debates, on IVF and Unintended Consequences, showed how powerful this new medium can be: instant, real-time debate on topical issues from several perspectives, all in a civil and respectful manner. And, of course, being a Finalist in the 2005 Weblog Awards -- ending up in the Top 12 of 1,750 eligible blogs in our first year -- leaves me speechless [ed: for once!]. A very special Thank You to Bob Vineyard, CLU, who keeps the home fires burning when I’m out of town, who posts informative and interesting ideas and solutions, whose posts ALWAYS generate great discussions, and especially for his relentless donations of “blog-fodder.” Thanks, Somarco! And Thank You, InsureBlog readers, for making this first year so successful and fun. I’ll do my best to make the next year (and those that follow) just as fine. This week, Barbados Butterfly (is that a COOL blog name, or what?) hosts Grand Rounds. The Butterfly hails from Down Under, and brings a real sense of whimsy to this week’s Rounds. Check out the Carnival of the Capitalists over at Phosita. And while you’re there, don’t miss this unusual post on Diaper Origami. The Carnival of Personal Finance lands this week at Fat Pitch Financials. FoIB Joe Kristan, writing about erstwhile Survivor "winner" Richard Hatch, asks "When does he get back ON the Island?" Our interview with the folks at ACMG about their new PACE program has generated a lot of interest, and not a little confusion, as well. When dealing with insurance products, it’s easy to get tangled up in all the obligatory insurance nomenclature, and lose sight of the original intent: to help folks learn about new ways of solving problems. Dr Jones also has 12 employees, and 10 of them are on his group plan, which has almost identical benefits as Dr Smith’s. “Almost identical” means that, for the most part, the plans look and feel the same (same deductibles and co-pays, same drug card, etc). But his plan doesn’t include, for example, coverage for respite care for those with autistic children, or extra benefits for alcohol or drug abuse [ed: we can debate the merits and morality of excluding these benefits another time; here we’re concentrating purely on economic factors]. His plan, you see, is exempt from offering most state mandated benefits, which can add up to 20% or more to the cost of health plans. All of his employees filled out questionnaires (which, coincidentally, look just like insurance applications) giving a complete picture of the group’s overall health. The insurance carrier which issues the underlying (stop-loss) coverage looked at all the answers and determined that this was a group they would like to have, and they anticipated the group would generate about $35,000 in claims. In more traditional ERISA arrangements, the carrier would add 25% to that total, and base the group’s cost on that (i.e. $3,600 a month, plus administrative fees). If the group went over, they would have to make up some of the difference, as well. With the PACE plan, the carrier adds only 5%, for a total of about $3,000 per month, and that is the amount Dr Jones must send in each month. When ACMG gets the check, they apportion it out to the carrier, to a stop-loss fund, and to themselves for administrative fees (and, of course, some to the agent who sold the case). Dr Jones has no administrative responsibilities beyond sending in his check each month. He pays no claims, tracks no expenses, files no forms. If, perchance, one of his employees has a catastrophic claim, and the total bill is $98,000, he still pays his $3,000 a month. Period. There is no provision or mechanism by which the insurer can come back to him for more money (except, of course, at renewal time). So, there are some distinct advantages. But there are some drawbacks, as well: First, since these plans aren’t required to be guaranteed issue, it’s possible that a group could be turned down for coverage, or turned away at renewal time. And, there are the usual participation requirements, which may make it impossible for a group to qualify. Of course, not all employers will see substantial savings, and may be better off "staying put." Depending on the health of the group, the final rate they’re offered may be substantially higher than the one quoted (although, to be fair, this is true in “regular” group, as well). What’s most exciting about this type of arrangement is that it provides another tool for reigning in the cost of health insurance. As with any such tool, it will not be appropriate in all cases. But it will be for some, and that’s pretty good. Skiing, or Health Insurance? Tough Choice! Chris Raymond is a bartender in Boston. He makes between $600-800 a week. But like 45 million other Americans, he has no health insurance. "It's just a huge chunk of money for me to just throw into something that I may not really need," he says. And as a 29-year-old single guy, he says, there are better things for him to do with his money. "Skiing," he says. "I love to ski." This is the Chinese year of the dog. Anyone who has ever owned a dog, or even watched a dog eat, is well aware the meal is consumed in what seems like micro-seconds. You fill the dish, set it on the floor, and before you have put away the bag the meal is consumed. The way your dog devours his meal you would think he had not been fed in a month. Should you get too close while the dog is eating, your best friend will growl or even snap at you in an effort to keep you from (in his mind at least) taking his food away. Health insurance is the same way. Those with health insurance, especially employer provided health insurance, tend to act like dogs. For starters, they expect the employer to “feed” them. The employee feels no obligation to pay for their coverage and complain if they are asked to pay anything at all. The plan is repeatedly abused by those who think nothing of going to the doctor at the slightest chill and demanding the latest “quick fix” pill they saw on TV last night. After all, the visit with the doc only costs $10 and the magic potion another $20. Truth is, the office visit was more like $70 and the meds closer to $140. They wolfed down their doctor visit & meds like a hungry dog. But try to take away their health insurance or, GASP, eliminate copays or raise deductibles and listen to them growl. Just like a dog and their food bowl. Some take issue with a key to solving health insurance woes by ridiculing the idea that Americans are over-insured. If you really want to gauge how out-of-touch employees are when it comes to health insurance, ask them how much their health insurance costs. Like asking how much they earn, most can’t tell you. To them the cost of health insurance is how much is deducted from their paychecks each week, and how much they earn is the amount that is deposited in the bank. In both cases, their assessment is inaccurate. Only when they leave employment and receive their COBRA notice, do they suddenly have a bad case of sticker shock. Are Americans over-insured? When they have no real concept of what health care costs, or how much insurance premiums really are, I would have to say yes, they ARE over-insured. When they fail to realize the key to reducing the cost of coverage is to eliminate cost items that are manageable and get back to true risk management, they are in fact over-insured. Just like the dog that EXPECTS to be fed and growls when you try to take away his food, Americans EXPECT to have health care provided for them and growl when you try to make it more affordable. On the one hand, I remain a staunch proponent of and advocate for Health Savings Accounts. On the other hand, I hold no truck with those whose approach to health insurance is “one size fits all,” regardless of whether that “solution” is an HSA, a Section 105 plan, or some other wonderful contraption. On the gripping hand, I don’t believe – and I think I can prove – that HSA’s are not going to destroy our health care system, as some in the medblogosphere suggest. More on that later. “Enrollment in the new health savings account programs has nearly tripled since March. It’s true that HSA’s are enjoying a popularity that escaped their predecessors (MSA), and a generally more favorable press. More carriers offer HSA-compliant plans, with more interesting configurations. There are, of course, a myriad of reasons why more plans aren’t being sold. Chief among these, I believe, is that the carriers still haven’t found the “sweet spot:” that magical, perhaps mystical, price-point where the premium savings sufficiently offset the increased first dollar exposure. In other words, they’re still too expensive. Members of the political class expect that, in next week’s State of the Union address, President Bush will be touting the recent success of HSA, and perhaps even push for the program to be expanded. What’s most interesting to me is that, in some ways, high deductible plans hearken back to a time when health insurance was simpler, and cheaper. Now, I’m not waxing nostalgic “for the good ol’ days,” but sometimes simpler is better. The avian flu situation has been getting a lot of play lately, and the potential (or hype, depending on whom one asks) for widespread mayhem has lots of folks worried. Many are also concerned that there won't be adequate supplies of vaccines or treatments available should it become a pandemic. David Williams over at the Health Business Blog tells us that an Israeli researcher is working on one such based on elderberries. Definitely worth a read. We’ve talked before about the new Medicare Part D plan. One of its “features” is called the “donut-hole.” Well, that’s what most folks call it; CMS calls it the “TROOP” (True out of Pocket). Whatever. Some HSA’s (high deductible Health Savings Account) plans have a corridor or co-pay amount that come into play between the co-insurance and the 100%. And, some "regular" medical plans have a hospital co-pay (typically $500) instead of a deductible. There are also HRA (Health Reimbursement Arrangement) configurations which, by design, have a corridor where the employer subsidizes the deductible. But this is actually "a good thing" (to quote St Martha), as opposed to a gap in cover. Anyone for a Krispy Kreme, instead? For more on Medicare D, check out FoIB Kate Steadman's post at the new TPM Cafe Drug Bill Debacle Blog. Many, many Thanks to Bob, Scott and Alan! The Carnival of Personal Finance is on tour at Be Capitalism (not really sure how that's a verb, but still). As an avid Iron Chef fan, food is always a priority for me. So while you're at the Carnival, be sure to check out Young and Broke's tips on how to save at the grocery. And be sure to stop by the Patent Barrista's for a fresh cup o' Joe, and this week's Carnival of the Capitalists. But don't stay too long because, as David at 37Signals tells us, Meetings Are Evil. Hosting for the 3rd time, Dr Kevin brings us this week's Grand Rounds. In keeping with InsureBlog's emphasis on consumer empowerment, be sure to check out Over My Med Body's post on "Googlediagnosing." It's an eye-opener. The Employee Retirement Income Security Act of 1974 (ERISA) enabled employers to take more direct control of their health care costs. By combining what was essentially a VERY large deductible with the ability to skip a lot of unnecessary (but costly) extras, employers could save a lot of money. In essence, the employer acts as the insurance company, and hires a Third Party Administrator (TPA) to act as its claims department. Historically, ERISA plans have generally been the province of large groups. For smaller groups, the downside to such plans was really two-fold: increased overhead (administrative) costs, and the risk that the employer could end up spending more with an ERISA (often called self-funded) plan than a “regular” insured plan. 1) Judy, what’s the biggest advantage of an ERISA-type plan over a more traditional fully insured one? Larger employers can customize a health plan to include only the benefits they choose to offer, and limit the costs to those services they wish to offer. ERISA health plans are covered by the Department of Labor instead of the Department of Insurance, so ERISA plans are not required to offer state mandated benefits, which can account for up to 20% of an employers fully insured premium. 2) How does the PACE health plan differ from "traditional" ERISA health plans? ■ A “fully funded” self-funded plan? Isn’t that an oxymoron? ...It means that the employer is issued a monthly contribution rate for each employee that includes all administrative costs and the maximum claims cost for that employee. This represents the second difference between PACE and traditional self-funding. The employer deposits their monthly contribution into their company's health plan account each month for their 12 month plan year, and that is all they pay. This key element of PACE removes the risk of a financial cash flow disruption by assuring the employer is never responsible for any funding above their monthly contribution. PACE was created through a partnership between ACMG and the ancillary providers. Stop-loss is provided through Companion Life (rated A+), which agreed to lower the normal aggregate corridor, reducing the liability for the smaller employer. 3) Can you tell us a little about what motivated you to design an ERISA health plan for smaller employers? ACMG is a TPA [Third Party Administrator] and innovator of health plan benefit plans, primarily involved in development and administration of HMO's and PPO's. The one group we could not provide coverage for were smaller employers who were unable to deal with the financial implications of self-funding. In 1998 we began development of a self-funded program specifically designed for the small to mid-size employer. It took us 7 years to create the PACE Health Plan. 4) Is this plan available only in Ohio, or nationally? The PACE health plan is created through partnerships with a specific PPO in each region. These partnerships take time to create; therefore, the PACE health plan is currently offered in Ohio, Kentucky and South Carolina. We are working on development in neighboring states. 5) What if a group went with PACE, but after a year or so decided to switch back to their old "regular" plan? A client is committed to the plan for only a one year basis and they can move at the end of a contract year. The employer is considered a Fiduciary for the health plan account and is responsible for claims for that contract year. That is why they are required to stay for one year, however, the client owes no further payments to the plan after the end of the plan year. 6) This is probably a loaded question, but from the small employer's perspective, how much more complicated is the PACE plan than a "regular" fully insured plan? I don't think use or administration of the plan will be any more difficult, and I believe in many ways our plan will be easier to use. We are a hands-on administrator, with an internal Utilization Review Department. PACE really looks like any other health plan. The medical questionnaire is probably more thorough than most. This is because rates are established based on the answers to that questionnaire. This is not a health plan for every group, but it is a very cost effective health plan for many groups. As noted, this is not a panacea, either, but it does offer a new, and potentially powerful, tool for small business owners to effectively manage their health care costs. I really appreciate Judy’s time, and her quick response. If InsureBlog readers have any questions, I’d be happy to pass them along. Apparently, S Corporations are more popular than LLC's. Who knew?! Well, Joe Kristan at Roth & Co knows, and he has some interesting thoughts on "why." One of the reasons I like that blog so much is that it addresses fairly complex tax issues with humor and insight. And so it is with this post, as well. Seems the Wal-Mart saga is just getting under way. The Maryland legislature overrode Gov. Erhlich's veto, so as it now stands, Wal-Mart will be subject to the new law requiring employers of a certain size to pony up for health care benefits. So all of this energy, and taxpayer money, is being spent in a manner that will have little or no effect on the number of uninsured in Maryland. Of course it may be that Wal-Mart reacts by reducing the work force, or cutting hours, which may lead to higher unemployment and higher numbers of people who are uninsured. So if the Maryland legislature really want to make this stick they need to also force Wal-Mart to maintain payroll and employment levels, and forbid them to raise prices or shutter stores or withdraw from the state. While they are at it, they should probably put an addendum in their bill that makes it illegal for Wal-Mart to challenge the law in court. What is really surprising (to me at least) is the mention of 33 states who are considering similar legislation . . . even before the law is in effect, and before it's legality is tested in the courts. So what has happened to spur this activity? Oh yeah, it's an election year . 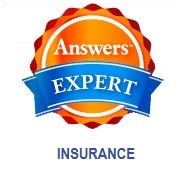 . .
Last year, auto insurance issues generated the most complaints, closely followed by health insurance. Since (as we’ve discussed before) these two types of insurance share a number of fundamental characteristics, that’s no real surprise. Health insurance claims made up over a third of the total, with almost 68,000 complaints filed against carriers. If you’re curious about how your own carrier fared, you can access company specific complaint ratios at the NAIC’s website. Wal-Mart is in the news. Why? Because they are a major employer in Maryland, one who employs about 15,000 people. The entire state has a little over 5M citizens. They have about 2M folks who are employed, so 1 out of every 130 workers is employed by Wal-Mart. In other words, if you live in Maryland, and know at least 130 adults, chances are somebody you know has a blue vest hanging in their closet. Well it seems that some folks think Wal-Mart doesn’t contribute enough for health insurance for their employees. In fact, the people under the gold dome want to pass a LAW requiring employers of a certain size (10,000 by coincidence) to contribute at least 8% of payroll to health care. OK, so how many employers would be affected by this law? Uh, that would be four. Johns Hopkins University, Giant Food, Northop Grumman and Wal-Mart. Of the four, Wal-Mart is the largest employer and (allegedly) the only employer that does not meet the 8% of payroll threshold for funding employee benefits. Much has been made of the fact that Wal-Mart provides (according to some) very little in the way of employee health coverage. This same crowd complains about the number of Wal-Mart workers who go without health care, or rely on taxpayer funded programs for their care. Some have even suggested that top management take a pay cut to fund the cost of health care for their workers. In 2004 Lee Scott (CEO of Wal-Mart) earned $17.5M in pay including bonuses, stock options and other incentives. The top 5 executives at Wal-Mart & Sam's earned an additional $24M in compensation for a total of $41.5M spread over 6 executives. That same year Wal-Mart employed approximately 1.2M people (USA). If the top executives worked for nothing, the 1.2M employees could be paid an extra $35 per year. That doesn't buy much in the way of health care . . . So what might happen if this bill passes? Wal-Mart could comply with the law. In order to fund the benefit package they could raise prices. This could lead to sales erosion which could cause layoffs or store closings. Or they could simply adjust payroll by cutting back on hours for existing employees, and maybe let others go entirely. They could also say goodbye to Maryland, pack up and leave. Then Maryland would see their unemployment rolls swell from the current 4.5% to about 5.25%. And of course there is a loss of the tax base from the shuttered store fronts no longer paying property taxes. There would also be a loss of sales tax revenues, state unemployment taxes and who knows what other revenue sources the state would lose. So just what is the potential economic impact of losing the states largest employer? It’s really hard to say. But even scarier is this. If this bill passes, what’s to keep the state from lowering the threshold to say 5,000 employees or maybe 1000? This is one area where government needs to leave things alone and be content with what they have. UPDATE: Be sure to read Bob's follow-up, here. For many years now, our family’s one vice has been freshly ground and brewed coffee in the morning. We’ve almost always had a Melitta brand coffee maker (to match the grinder). A few months ago, our beloved machine died, and in our haste to replace it, we bought a different brand. Which died within 6 months. Ouch. So, having learned our lesson, I headed over to the Melitta website, looked around, and ordered a new coffee maker. It arrived a scant 5 days later. And died within a week. Yikes! So, I gathered up all the documentation, shipping info, and receipt, and called the customer service number listed on the site. I was disappointed and angry, and loaded for bear. The (nice) lady at the other end of the phone listened to my tale of woe and, before I could even begin to raise my voice, told me that she had already ordered up a new coffee maker for me, it would ship that day or the next, and would include a return mailing label. This is a company that’s been around a long time, with a well-deserved reputation for quality. And no wonder. Oh, the new machine arrived a few days later, and they’d even thrown in a complimentary package of Hazelnut Blend. Yum. Does Your Doc Make the Grade? I have a feeling that, much as “Consumer Driven Health Care” was the buzzword (or is that buzzwords?) of the first half of this decade, “transparency” may turn out to be the buzzword of the latter half. Briefly, “transparency” (in the context of health care) means that true costs and service satisfaction levels are disclosed before treatment is delievered. In other words, a patient is not only entitled to know how much a given procedure will cost (or at least his share of that total), he is also entitled to know how well the service provider has previously performed. Unfortunately, such information has been difficult – if not impossible – to obtain. We’ve explored the first tentative steps toward this transparency; now a new study suggests that "quality evaluators can get reasonably reliable physician quality data from a collection of 45 completed patient satisfaction survey questionnaires and very reliable quality data from a collection of about 300 patient questionnaires." Dana Gelb Safran, who conducted the study, is a researcher affiliated with Tufts-New England Medical Center in Boston. The point is that, with a few simple tools such as this, the face of the health care delivery system is beginning to change. What’s most intriguing to me is that the speed of change is beginning to pick up. Some carriers have begun putting medical research tools on their websites in order to encourage their insureds to take a more proactive role. What’s missing, I think, is a more forceful message from the health care industry encouraging its customers (i.e. patients) to use these tools. The Carnival of the Capitalists is hosted this week by the folks at WordLab. They've kept to the sortable table format, which makes it easy to navigate. Be sure to check out Personal Financial Advice's informative and entertaining post on compound interest. 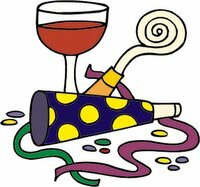 Savvy Saver serves up the Carnival of Personal Finance this week. He highlights some blogs that are new to the Carnival. Funny Munny (what a great name for a blog!) has a helpful post for folks who are new to the world of FSA (Flexible Spending Accounts). This week's Grand Rounds, hosted by the GruntDoc, has the best of the medblogs, including a joint submission on our debate regarding who pays for health care. And Medpundit has a controversial post about employers' smoking policies -- at home. David Williams at the Health Business Blog has an intriguing post about treatment costs for chronic diseases (conditions) such as diabetes. It seems that our current system tends to reward (encourage) treatment for acute illnesses, while discouraging innovation in managing chronic ones. He proposes a very interesting idea using "capitated contracts" to ensure that folks with such conditions can more easily move to different insurance plans. This is a MUST READ. There seems to be a pattern of misunderstanding in some areas about I.R.C. Section 105 and its application in the employer sponsored health insurance market. Some folks seem to tout the virtues of 105 for its ability to lower benefit costs without acknowledging the flip side to their argument. That would be the total or partial exclusion of employees and/or their dependents from participating in such a benefit plan. But I am getting the cart before the horse . . . Section 105 refers to a portion of the Internal Revenue Code which allows an employer to establish a welfare benefit plan for the employees and do so on a tax-favored basis. Some of the items that can be offered through a 105 plan include coverage for OTC meds, health & dental insurance premiums and coverage for out of pocket expenses such as deductibles & copays. Most employers are aware they can purchase group health insurance, pay for it with before tax dollars, and deliver it to their employees on a tax favored basis. But many may not know they can do likewise with individual coverage and enjoy many of the same tax benefits. The real benefit to the employer about 105 plans is their ability to set up a benefit plan on a Defined Contribution basis. Most employer plans are now structured as Defined Benefit plans where the employer chooses the benefits to be offered and the carrier quotes a price. DC (defined contribution) plans work the opposite. The employer indicates they are willing to spend a pre-determined dollar amount on benefits and the employee is free to choose how they want those dollars to be spent. Some employees may want health insurance, others dental, and others only want coverage for out of pocket expenses. This makes the DC plan extremely flexible and tailored to the needs of both the employer (limiting their outlay) and the employee (ability to choose benefits most wanted). But it also makes coverage for some employees challenging in the least and unobtainable at the worst. Group insurance carriers require a certain level of employer contribution as well as participation levels before they will issue a contract. By its’ very nature, group insurance cannot restrict coverage for employees with pre-existing conditions (and prior creditable coverage) and must accept all regardless of their health or future medical costs. An example of this is a recent client. I was approached about finding cover for a lady with MS (multiple sclerosis) and an accompanying $1800 a month “habit” for meds that kept her condition in remission for the past 20 years. She was losing her COBRA and there was not an individual carrier to be found that would issue cover. Group insurance comes to the rescue! She works for a business (owned by her fiancée) so I was able to secure coverage for her at an affordable $400 a month which includes $30 copays for her meds. In this case (and others like it) a Section 105 plan funded with individual policies was not an option. While this is an extreme example, it still points to the folly of suggesting the 105 is a panacea for business owners. Individual polices are almost always less expensive than group plans with similar benefits and that is a nice feature. But when the individual policy route conflicts with an employers desire to cover certain workers, the plan goes down in flames. The real benefit of 105 plans is not so much the way the benefits are provided (individual policies vs. group policies) but the fact the employer has much more control over expenditures for the plan by establishing a budget. Using individual policies under a 105 plan is great for the writing agent because the compensation is 3x to 4x what it would be under a group insurance plan. But that same approach is also self defeating when an employer genuinely wants to provide a benefit plan for all employees, or even a select group of employees. This week's Carnival of Personal Finance is up at All Things Financial. Host JLP has put it in an easy to read layout. And Social Customer has the Carnival of the Capitalists. Chris Carfi has continued the table format, with helpful subject icons, to boot. While you're there, check out Roth & Company's item on a handy new "AMT Calculator." Dr Ves Dimov hosts this week's Grand Rounds over at Clinical Cases. FoIB (Friend of InsureBlog) Elisa from Healthy Concerns has a thought-provoking post about knowing how -- and when -- to speak with a friend about his alcohol problem. She goes on to observe that these states don’t really have the resources available to enforce such requirements, and concludes that small business aren’t the real targets of such policies, large retailers are. Let me state from the outset that I enjoy Kate’s blog and generally find her posts to be interesting and informative. Companies do not pay taxes, and they do not pay for health insurance. Companies – businesses – pay neither taxes nor insurance premiums. Companies do collect (sales) taxes, and pass them on to the states in which they do business. They also include any business taxes due in the price of the product or service. They pay employees a portion of their salary, and forward the balance to the insurance carrier (and/or state government). They do not actually pay the taxes, nor the insurance premiums. First, if the employer doesn’t already have a group plan in place, he has to either install one (assuming that this is even possible) or begin reimbursing his employees for their privately owned plans. This then requires that he set up either a Section 105 plan, an HRA, or some other qualified arrangement, none of which are free, and all of which require additional paperwork. It also ignores the problem of employees who either can’t qualify for insurance, or who flat out don’t want it. So let’s presume that we’ve surmounted the availability issue. How does the employer then “pay for the insurance?” What many folks – including, apparently, the commenters noted above – don’t understand is that when one is paid a wage, there are really two pieces: the one we see, and the one we don’t see. The one we see, which is our stated salary or hourly wage, is our paycheck, net of taxes and FICA and all the rest. The other half, the “hidden paycheck,” includes health insurance and worker’s comp premiums, vacation and sick days, and various other expenses associated with being employed. Look at it this way: When Joe was hired, his employer budgeted $60,000 for Joe's compensation; $50,000 is paid to Joe as wages, and the other $10,000 is sent to the insurance company and various government agencies (and, of course, some is to defray the costs of vacation and sick days, etc). So if the gummint insists that Joe’s employer pay an additional 8 or 10 or 12 percent toward health insurance, that’s 8 or 10 or 12 percent that Joe’s employer won’t be giving him as a raise next year. In fact, it could very easily wind up costing Joe his job altogether: his employer may decide that he’s not worth that extra 8 or 10 or 12 percent. Try not to break it. UPDATE: Chad from Tusk & Talon has some more thoughts on this subject. In-depth and interesting...Check it out. UPDATE 2: And Elisa at Healthy Concerns also weighs in with another perspective. Good stuff. Kate herself (whose post started this whole link-fest) gets the final word (for now). UPDATE 3: Maryland's legislature has overriden the Governor's veto. More on the implications of this new development coming up. UPDATE: Well, that's interesting. It appears that this issue has gone into hibernation, as we have been unable to find anything substantive on it newer than 2003. There have been some state laws prohibiting reunderwriting, and [the carrier] cited in the WSJ story has ceased the practice, as well. I've decided to leave this posted, for the purpose of eliciting discussion about the nature of the health insurance renewal process. Normally, when we think of “renewal,” we think of Springtime. But one’s health insurance renewal, particularly if one has an individual plan, is (usually) the anniversary date, which could be any time. Now, for as long as I can recall, I’ve explained to my clients that their rates will go up at renewal time (no, it’s not actually a law that that they must go up, it just seems like it), but that the increase is based primarily on the experience of the group of folks who own such policies, not on one’s own particular claims. I’ve redacted the name of the insurer not to protect the innocent, but because it is not the only one currently engaged in this practice. The justification for “reunderwriting” is that rate increases are "based on an individual's experience, just like auto or homeowners' insurance. If the risk changes, the premiums change." It’s true that auto and homeowners insurance (called P&C in industry jargon) are treated differently than health insurance: rates are more closely regulated by the states, and coverage itself is generally required by the law or the lender. But just because health and P&C are treated differently doesn’t mean that they are different: they are both based on an insurance principle called “indemnity.” Briefly, indemnity means that that one is “put whole:” If your car gets dinged, the insurance pays the repair shop to fix it. Likewise, if you get sick, the insurance pays your doctor to treat you. Of course, there are significant differences in how each type of policy works, but the underlying principles are the same. So, if you have a ticket or an accident, then your car insurance will go up at the next renewal; the nature of the risk has changed, and therefore the underlying assumptions (upon which your premiums are based) must change as well. So, if the principles undergirding P&C and health are the same, why shouldn’t the consequences be the same, as well? MedGadget is hosting the Second Annual Medical Weblog Awards. 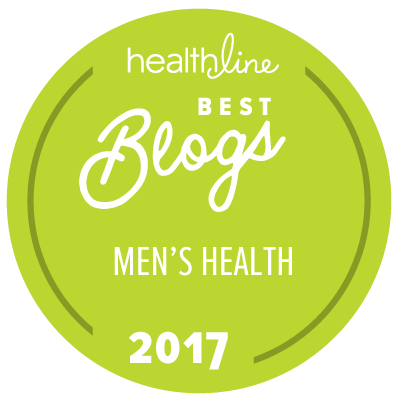 There are six categories, all filled with great examples of the medblogosphere. In the Best New Medical Weblog category, I recommend Healthy Concerns. 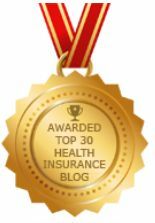 And the Health Business Blog deserves the nod for Best Health Policies/Ethics Weblog. To be fair, they might have died from these illnesses anyway; but then again, we’ll never know. The report did indicate that the participants’ experienced an improvement in their overall lifestyles, and their drinking subsided. All for the low, low bargain price of $8,000 a year. That's a lot of Thunderbird. In a case that will most likely affect every Buckeye who has health insurance, the Ohio Supreme Court has agreed to accept Robinson v Bates. This case is important because it will establish, at least here in the home of the 2006 Fiesta Bowl champions, whether a defendant in a personal injury case can use evidence about how much the victim’s insurance company actually paid. Okay, again, but in English: Ms Robinson twisted her foot, and sued her landlord to recover treatment costs. During the trial, she produced bills amounting to a little over $1900, but then indicated that the providers had agreed to accept her insurance company’s payment of $1300, a savings of about 30% for the carriers, and a relatively routine transaction. As an aside, I’m frankly dumbfounded that she could twist her foot in her own apartment, but still successfully sue her landlord for her injuries. What a country! Anyway, the trial court ruled that she couldn’t be reimbursed for the full, non-discounted amount, only for what was actually paid out. Seems reasonable to me. Of course, the Appeals court reversed the ruling, with a twist: they said that the landlord should have been prohibited from even introducing any evidence that the medical providers accepted less than what was billed. In other words, the original (trial) court judge shouldn’t have even been able to show that Ms Robinson “got a deal.” Hunh?! The dollars involved – about $600 – aren’t exactly groundbreaking; but the stakes, as far as insurers are concerned, certainly are. As we saw in Death of A Salesman, Parts 1 (here) and 2 (here), a properly drafted and appropriately funded buy-sell agreement (BSA) can often be a business life-saver. Tax and business attorney Clark Allison has just posted Part 1 of his multi part series on BSA's. UPDATE: Part 2, which addresses tax issues, is now up. • This week's Grand Rounds can be found at Random Reality, a blog hosted by a London (England) based E.M.T. David Williams of Health Business Blog has an interesting post on "runaway biotech prices." • The Carnival of Personal Finance is also up, available at Real Returns. • And don't miss the Carnival of the Capitalists. This week, host Michael Higgins of Chocolate and Gold Coins continues the new "tradition" of grouping posts by category. I really like that.